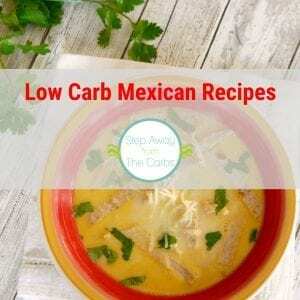 This light and airy low carb dessert omelet is 1g net carbs per serving! That’s pretty good for a sweet treat! 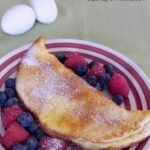 Have you tried a dessert omelet? This recipe needs just three ingredients and it really doesn’t take long to make. 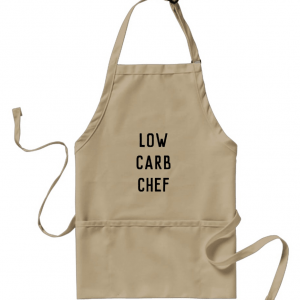 And because it is so low in carbs if you DID happen to eat it all by yourself (if you were recipe creating, for example, just saying, who would do that though?) it wouldn’t blow your diet at all! Luckily. Ahem. 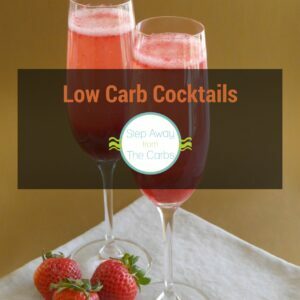 Separate three eggs and beat the yolks with a fork in a small bowl with some low carb sweetener (eg xylitol or Swerve). In a stand mixer, whisk the egg whites until stiff peaks form. Slowly fold in the egg yolk mixture. 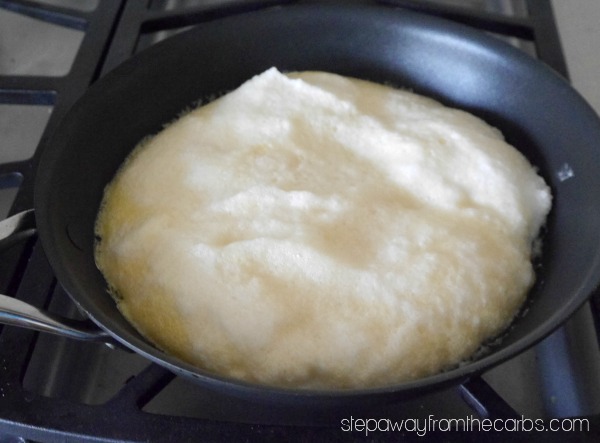 Melt some butter in a skillet and pour in the egg mixture. Cook on a low heat for 5-7 minutes or until the bottom has set. Place the skillet under a preheated broiler and continue to cook until the top has set, around 3-4 minutes. Fold over the omelet, divide into two servings and transfer to two plates. Garnish with whatever you fancy! 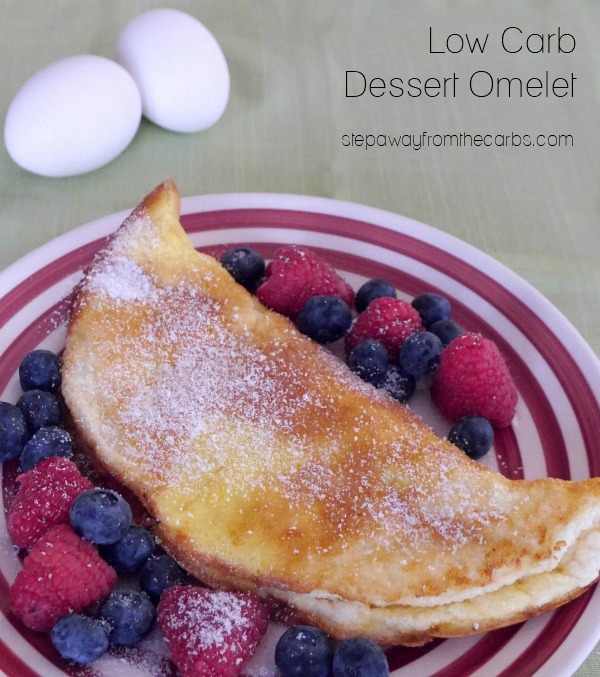 Extra sweetener and fresh berries like strawberries, blueberries and/or raspberries work well with this omelet, as do low carb ice cream or whipped cream! Beat the yolks with a fork in a small bowl with the sweetener. Melt the butter in a skillet and pour in the egg mixture. Cook on a low heat for 5-7 minutes or until the bottom has set. Place the skillet under the broiler and continue to cook until the top has set, around 3-4 minutes. Fold over the omelet, divide into two servings and transfer to two plates. Garnish as desired. 1g net carbs per serving (half one omelet), not including sugar alcohols from the sweetener. This looks delicious!! Too bad I just used up all my fresh berries! Will have to get more and try this – I bet my picky 7 year old daughter would love it as well! This looks as fluffy as a pillow!! Reminds me of summer…. bet it tastes awesome! 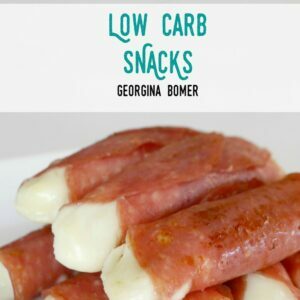 This looks so good and easy to make! Reminds me of this Scandinavian breakfast my Mom used to make, but it was full of flour and sugar. Your’s I can have, yay! It’s so fluffy! I’ve never tried a dessert omelet before but now I have to!